So, personally and professionally speaking, I’m not going to tell you the Corvette is the best car ever built, but it’s gotta be darn close. The car has grown with the times, and has gone from being “good” to “outstanding”– especially when you consider today’s state-of-the-art C7. 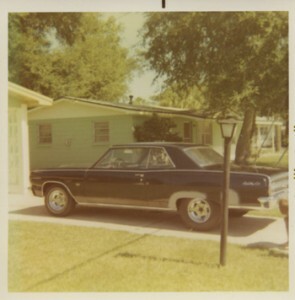 Wh en I look back at the ’Vettes I’ve owned in the past, they have all been incredible cars. In the rare instances in my life when I haven’t owned a Corvette, I’ve had Chevelles, and even a Camaro. 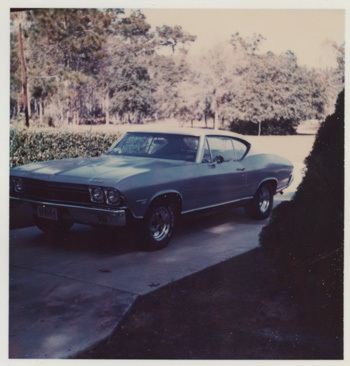 The Chevelles my wife and I have owned were all great cars. It started when we were dating and my Corvette gas bill and insurance became more than I could afford. We went and found a 1964 Chevelle SS. It had plenty of Chevy muscle and gobs of style. Bucket seats, 4-on-the-floor and custom wheels– what else could a young man ask for? This got my wife and I around until our first baby came along. Then, fuel economy became a major consideration. We had to move on to another brand– VW. But it wasn’t long after getting a new job that a chance to own yet another Chevelle SS presented itself. 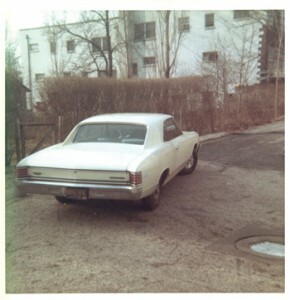 This time I was stepping up, and I traded that Volkswagen for the Chevelle– even money. Was that a great deal for us! That car got driven more by my wife than by me. I bought a Tampa Bay Police Car 350 engine that had spun a bearing, rebuilt it, and installed it in the Chevelle. A state trooper tried to stop my wife one morning on her way to work for speeding. As usual, she was late. He finally caught up to her at her work place and gave her a warning to slow down, since he could not catch her on the road. As time went on, my wife spotted a 1968 Chevelle SS sitting on the Reutimann Chevrolet used car lot and fell head over heals in love with that car. So, along came the payments. 396/350 horsepower, automatic transmission and Island Teal paint with a white vinyl top, wow. She drove that car for a lot of years. Then, stupid me, I sold it for a good price. But it wasn’t worth making the wife mad. I still catch it today. Corvettes became a big part of our lives from that point on, but we have always had a soft spot in our hearts for Chevelles. My wife still pushes me to find the ’68 and restore it. 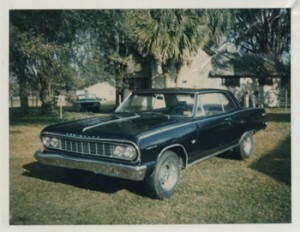 Corvettes are still number one for me, but Chevelles are a close second. It is really great to see these incredible cars at Barrett-Jackson or at the Mecum Auctions bring top dollar. Everyone knows beauty and style when they see it!